The Town of Geneva maintains its own full-time Police Department for your protection and Ordinance Enforcement. The Police Department is headquartered in the Town of Geneva Hall at N3496 Como Road. Please contact the Department directly at (262) 723-3700. Should an emergency need for assistance exist dial 911 and one of our officers will respond to service you. 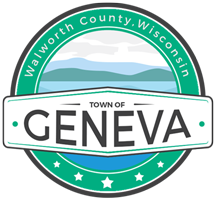 The Town of Geneva provides for 24 hour police protection and is assisted by the Walworth County Sheriff's Department, as well as neighboring communities during the busy times. For administrative issues please contact either Interim Chief Anderson or alternatively, Supervisor Jeff Monroe regarding any issues relating to the Town of Geneva Police Department that you may wish to address. The Town of Geneva has a Police Commission in order to address additional concerns and the President, David J. Richardson, may be contacted at (262) 723-4841. Fire Protection Services are provided to the Town of Geneva through separate contract arrangements with the City of Lake Geneva, and the City of Elkhorn Fire Departments. Supervisor Jeff Monroe (262) 249-9845 is the Town of Geneva Board Liaison with the Elkhorn Fire Department and Supervisor David Stolow (608) 234-1127 is the Town of Geneva Board Liaison with the Lake Geneva Fire Department. Please contact either of them regarding Town of Geneva Fire Protection questions or concerns. If you have an emergency regarding fire or rescue services, dial 911 and the emergency dispatcher will contact the appropriate department. Please provide a description of the emergency, location, contact name and number, directions and any other specifics requested to the operator. Listen to and follow directions of the operator. The Town of Geneva maintains a municipal court currently presided over by Judge Scott Letteney to deal with Municipal Ordinance issues. Please contact the Town of Geneva Clerk of Courts (262) 248-3885 for information regarding the Court Schedule and procedures. The Town of Geneva employs a full-time staff of three individuals and is headquartered in separate facilities adjacent to the Town of Geneva Hall. Please contact Highway Department Superintendent Jim Beck (262) 248-2135 regarding any issues or concerns relative to roadways, adjacent right-of-ways, driveways, signage, load restrictions or permits et cetera. Extra-Territorial Zoning Boards exist between the Town of Geneva and the City of Elkhorn and the Village of Williams Bay for lands which exist within specific pre-arranged limits of those communities. Once an issue has been presented to the Town of Geneva Planning Commission and Town Board and acted upon by both the applicant can then apply to the City of Elkhorn or Village of Williams Bay for an Extra-Territorial Hearing for properties located within the ETZ Boundary with those municipalities. This is a limited area adjacent to those communities. All zoning matters for lands located within 1000 feet of a navigable waterway within the Town of Geneva must still proceed to the Walworth County Planning Agency for further action. Extraterritorial Plat review priveleges are maintained by the City of Lake Geneva and the City of Elkhorn for lands located within 1 1/2 miles of the corporate limits of those cities; all plat changes are also reviewed by the Town of Geneva and Walworth County, including lot line adjustments. Please contact the Planning Commission Secretary, Mary Van Lue (262) 248-9513, for information regarding which Zoning Agency has authority over the property which is under consideration. Always start with the Town of Geneva with your initial inquiries as the other governmental bodies will require Town of Geneva input prior to any final action on your request. The residents of the Town of Geneva are served by several school districts. Woods School is completely contained within the boundaries of the Town of Geneva and is the pride of our community. Woods School serves Kindergarten through 8th Grade students who reside primarily in the Towns of Geneva and Linn in areas near the school facility. However, through school choice, students also attend Woods School from other communities. In addition to Woods School, kindergarten and elementary students from the Town of Geneva are primarily served through Lake Geneva Joint School District No. 1, Williams Bay School District, Elkhorn Schools, Faith Christian School, St. Francis Catholic Elementary School and St. Patrick Catholic Elementary School. High School students are primarily served by Badger Union High School located in the City of Lake Geneva, Williams Bay High School, Elkhorn High School, Faith Christian School located near the Village of Williams Bay and Catholic Central High School located in the City of Burlington. Post High School students are served locally by Gateway Technical School located in an area formerly within the Town of Geneva west of County Highway H at the south edge of the City of Elkhorn.